I’m delighted to announce that Lizzy and I will host the 5th German Literature Month (#germanlitmonth) this coming November. 1) Whatever you read, in whichever language you read, must have originally be written in German. Novels, novellas, short stories, plays, poems, they all count. No genre is excluded. 2) Enjoy yourself. There’s no need to write long, detailed reviews (although we do like those). A quick opinion piece, the posting of a favourite poem, the tweeting of a pertinent quote or picture of a delicious book cover (using the hash tag #germanlitmonth, of course) all contributes to a communal celebration of German-language literature. You are free to pick what you like but for those who prefer some guidance or those who love the group-spirit of the event there are themed weeks and readalongs. Week 1: Nov 1-7 Schiller Reading Week. 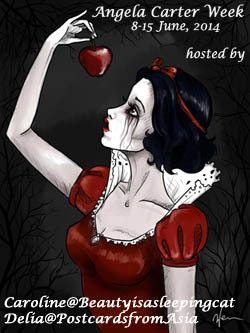 Hosted by Lizzy. 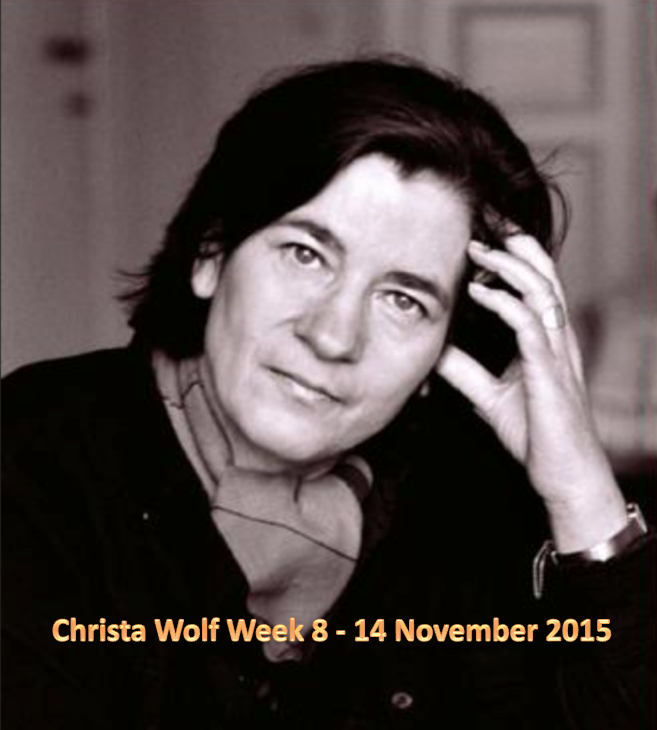 Week 2: Nov 8-14 Christa Wolf Reading Week. Hosted by Caroline. 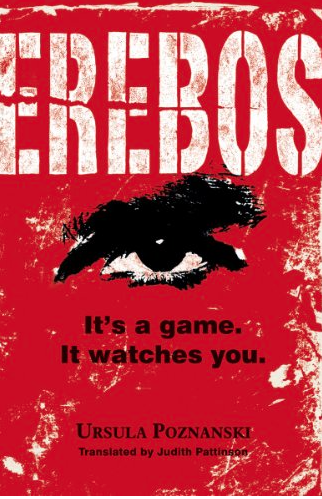 Week 3: Nov 15-21 Ladies’ reading week incorporating a readalong of Ursula Poznanski’s award-winning YA title, Erebos on Friday 20.11. Hosted by Lizzy. Nick is given a sinister but brilliant computer game called Erebos. The game is highly addictive but asks its players to carry out actions in the real world in order to keep playing online, actions which become more and more terrifyingly manipulative. As Nick loses friends and all sense of right and wrong in the real world, he gains power and advances further towards his online goal – to become one of the Inner Circle of Erebos. But what is virtual and what is reality? How far will Nick go to achieve his goal? And what does Erebos really want? 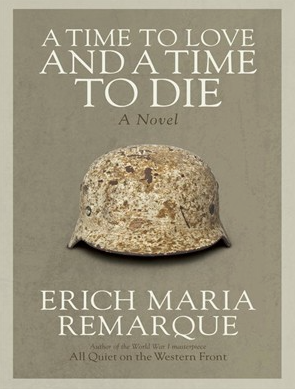 Week 4: Nov 22-28 Gents’ reading week incorporating a Literature and War readalong of Erich Maria Remarque’s A Time To Love and A Time to Die on Friday 27.11. Hosted by Caroline. Week 5: Nov 29-30 Read as You Please. 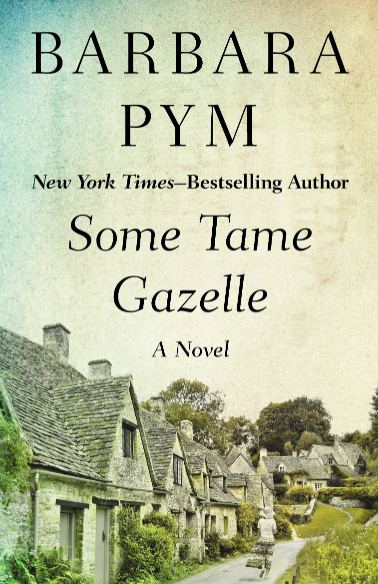 If you’re not sure what to read – our German Literature Month Page can help you with that. German Literature Month IV was astounding in terms of numbers of participants (40) and quality contributions. I’m not sure that we’ll be able to match it again, but let’s give it a shot. Are you in?